Just a couple of shares that I've made this past week. 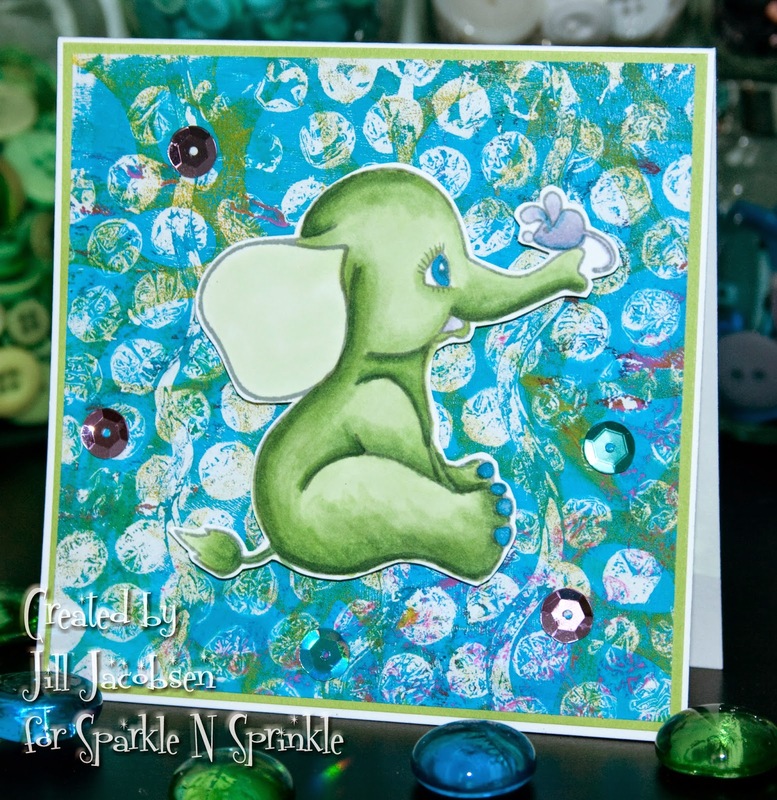 The first is a new stamp set from SNS that was just released....Ellie, the Elephant....she is sooo cute with her little mousey friend! I colored her with Copics and simply cut her out and put her on a Gelli Print background....and then of course the sequins! Then the second share is a page in my Journal 52 and the prompt was How Does Your Garden Grow. I started with a background of Memories Mist of Green, then I used 3 different colors of acrylic paints and a round paint dauber and just added color...it looked a lot like my bokeh backgrounds here and here. I painted the flowers by hand with acrylics and the lettering was done with a stencil then the white pen added and my journaling is done in a green pen at the bottom. My garden grows by the grace of God because I don't have a green thumb and my garden is the wild flowers.